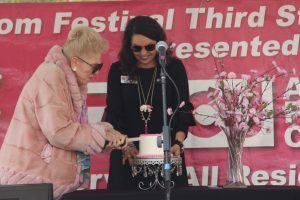 Join us on Founders Day at Third Street Park as we enjoy cupcakes, provided by Felicia’s Cake Factory, and celebrate the founders of the Cherry Blossom Festival. There will also be BBQ sandwiches provided by Mrs. Griffins while supplies last! Don’t miss the exciting Third Street Park festivities happening every day during the weekdays of the Cherry Blossom Festival. Entertainment and a special theme each day honoring Mexico will set the mood for light-hearted fun, while horse-drawn carriage rides take you back in time for an adventure-filled afternoon. FREE!